This question follows this post. I'm plotting a forst plot with R plotly, where I'm color coding the points and errors by their corresponding p-values. But in the plot you see that the error bars of 7:age are much longer than that of 11:age. Am I missing some parameter when calling error_x function? 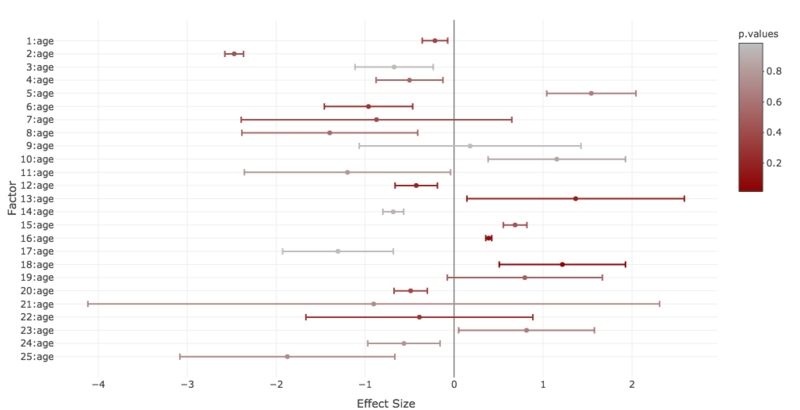 Browse other questions tagged r plotly errorbar r-plotly forestplot or ask your own question. Plot ellipse3d in R plotly?